Led Zeppelin reunion hopes remain high with some fans, but it has become increasingly apparent how unlikely it is that one will ever come about. 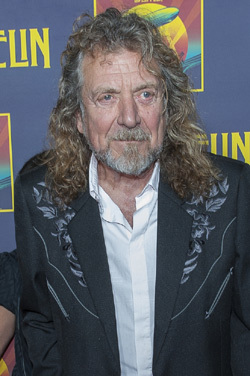 Resistance to the idea always traces back to Robert Plant. The vocalist has been up-front about the fact he's the hold-out. Speaking with the hosts of Sound Opinions on NPR's WBEZ recently, Plant explained what's at the root of his reluctance to take the stage with Jimmy Page and John Paul Jones to perform Zeppelin classics. He says it relates to a vow he made to never compromise musically; 'I cut the cloth according to my needs', said Plant, who calls his current musical project, '...one of the most surprising, exciting and stimulating and also mostly heartfelt periods of my time as a singer.' Hear the rest of what Plant had to say here.